With They All Fall Down, Rachel Howzell Hall has written an excellent stand-alone thriller that is incredibly timely and modern, but that also manages to highlight the history and traditions of our beloved crime fiction genre. 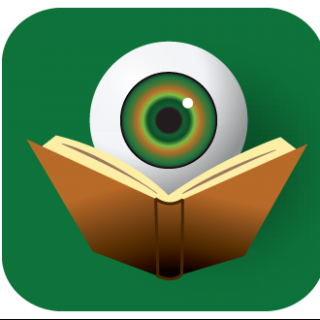 Fans of classic crime fiction will immediately recognize Howzell Hall’s tip of the hat to Agatha Christie’s And Then There Were None, but it is impossible to miss the equally fervent grasp intended to pull these tropes in new, more inclusive, directions. To some, it may seem ironic for Rachel Howzell Hall to pay homage to this particular Agatha Christie novel, which has had a history of some less than diverse-friendly titles before becoming universally known as And Then There Were None. However, in this reviewer’s mind, this is a much needed and welcomed warning shot across the bow from a writer acknowledging some of our genre’s past mistakes, making a firm present-day declaration of “community” in our modern time when it is once again de rigueur to vilify “otherness,” and a pledge for the future that unique voices will not be silenced because of the small-mindedness of a negligible contingent. If the crime fiction genre is going to truly thrive, it must open its doors to the potency of diversity. There is no question that They All Fall Down is an extremely diverse novel; some might even claim that there is too much diversity represented here, but a quick examination of how these individuals came to be within the same sphere will confirm the authenticity of the wide-ranging characters and their connections to each other. Furthermore, each of them is brought fully to life as Rachel Howzell Hall carefully imbues them with naturalistic characteristics and distinct personalities. As with most novels, there is a central point of view role and here that comes from Miriam Macy. As the book begins, this African-American mother is equally excited and trepidatious about her newest adventure: Miriam has been invited to participate in a new reality television show with the possibility of leaving a secluded Mexican island with a much-needed cash prize. As a cleverly-edited version of Miriam’s history is surreptitiously revealed to the reader, it becomes clear that this woman has a difficult past; a contentious relationship with her ex-husband, his new wife, and now even with her daughter; and more secrets than most. Before long, readers – along with Miriam – discover that six others have also been called to this private island and they have all been given different reasons for the invitation. This set up will trigger the déjà vu and in fact, once on the island, bizarre tragedies do occur leaving various members of the group dead. Those plot highlights, not to mention the fateful boat trip over to the island, are just some of many allusions to And Then There Were None that astute readers will discover as they consume this novel. The first half of They All Fall Down is a leisurely unfolding narrative, but what readers fail to realize is that Rachel Howzell Hall is planting landmines all along the way, things that will not come to fruition until the more action-packed and compelling second half of the novel. Once the first death occurs, this narrative becomes a rollercoaster ride to the end. This is an author in control of her craft and she manipulates the reader in multiple, delightful ways. The cover design for They All Fall Down is the perfect marriage of image and content. Serving to entice readers to pick up this novel, the design also ties in beautifully with the story inside. That blue scarf makes an appearance on page one, and scarves and water continue to factor within the story throughout the remainder of this constantly surprising adventure. 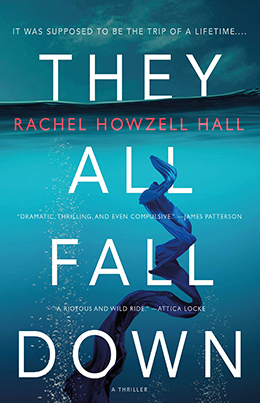 They All Fall Down will be heralded for its all inclusive embrace of diversity, but it is important not lose sight of the fact that Rachel Howzell Hall’s book is also an entertaining examination of some complex human emotions: love, guilt, revenge, betrayal, and ultimately retribution. They All Fall Down is a novel that will be talked about for a very long time and for all the right reasons. I’ve read all of Rachel Howzell Hall’s books and loved them. They are well written, entertaining, and complex all at the same time. She is worthy of greater readership and fame. Sounds like this book will do the trick. I hope so! I’m eager to read it and I preordered it a long time ago. Go, Rachel, go! I echo all of the above comments! I love Rachel Howzell Hall’s writing and can’t wait to read her next book!